If you have a baby that drinks formula, you know how expensive it can get buying all the time. Formula, for some, is a necessity but there are a few ways you can save money when buying baby formula. In an effort to fully disclose, this article contains affiliate links. This means if you purchase something, I would receive a commission. For more information see my disclosure page. One simple way to save money when buying baby formula is to sign up online with Enfamil or Similac. What you do is sign up on their website for freebies and coupons. It is completely free to join, and they will send you 2 $5 coupons each month for formula. I use Enfamil for my little ones, so I signed up with enfamil. Let me tell you, $5 off of formula can really add up big time when you are trying to save money when buying baby formula. Another way to save money when buying baby formula is to look for deals at Target. If you are familiar at all with Target, they have sales from time to time where you buy a certain amount of money from certain sections of their store (ie. Baby department, clothing department, etc) they will give you a gift card ($5, $10, or even $20). 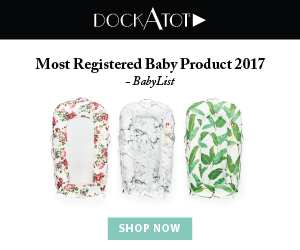 One department in particular, is their baby department which includes anything from diapers/wipes/formula and more and you only need to spend $100 and you receive a $20 gift card. If you are already going to need formula, stock up a little bit and earn yourself a free gift card! (YAY!) Sometimes it really is a matter of timing when you buy things, as these sales are not always available. What is also cool, you could pair the Similac/Enfamil coupons you got in the mail for an additional savings. With a little work, you could save money when buying formula every time. The third way to save money when buying baby formula is to use rebate apps like Ibotta. They don’t offer these rebates all the time, so it is imperative to scan over Ibotta before you purchase any. What is nice about Ibotta though, is that you can save lots of money on groceries you are buying every week, for more information see my article on saving money on groceries. If you would like to join ibotta, use my referral code of shcgtml or you can sign up here at https://ibotta.com/r/shcgtml This referral code will mean I will get $5 if you sign up, but after you complete your first rebate offer, you get $10! While formula can be pricey, it doesn’t have to be with these 3 tips to save money when buying baby formula. I hope you enjoyed reading this and hopefully you can start saving money too! Don’t forget to share so all your other mom friends out there can learn how to save money when buying baby formula too, and of course subscribe to my blog for more helpful tips and advice.